Gain the skills (and tools) to pay off those hefty student loans as fast and as affordably as possible. 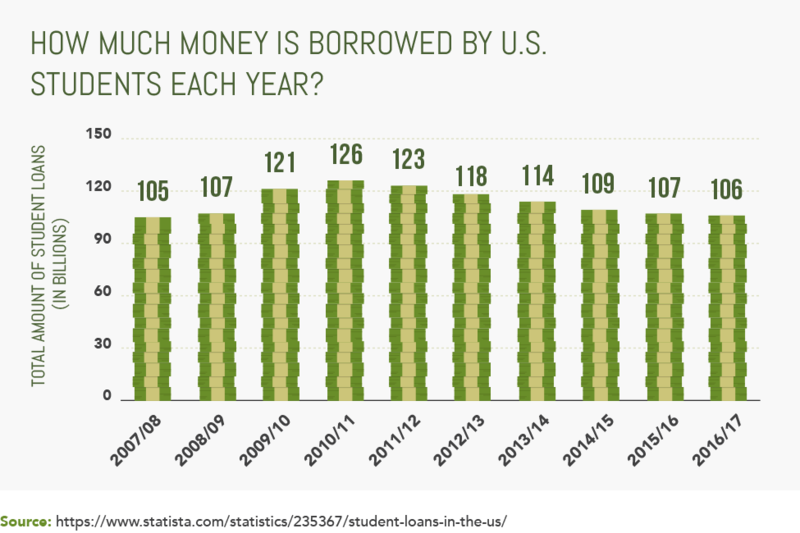 According to the Federal Reserve, Americans have a total of $1.4 billion in student loan debt (more than they owe in credit card debt). 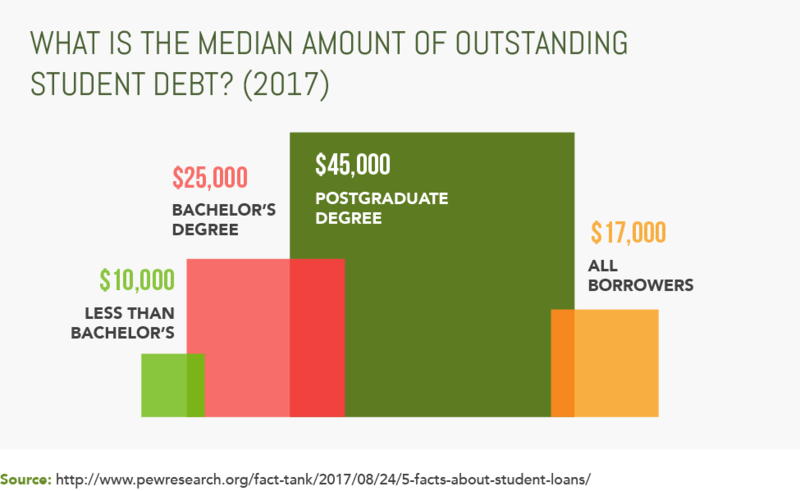 Furthermore, the average college graduate has a daunting $37,000 in student loan debt. For the average student with a bachelor's degree it will take 21 years to pay off student loans, even though they initially plan to pay it off in 10 years. Unfortunately, many recent graduates don't have a serious repayment plan that pays off debts quickly. They pay the minimum amount each month, extending the life of the loan by not minimizing the principal as much as possible. When graduates pay off their debt quickly, they can seriously cut down their monthly payments and the total interest paid. Then, they can put money towards the future, like a house, 401(K), children, or college funds for children. At the start of your career, it may seem impossible to ever pay off five or even six figures of debt. It won't be an easy process, but it's definitely possible to pay off huge amounts of debt in a few short years (or even months). You don't have to be shackled by student debt for 20+ years. If you haven’t already, find out if you qualify for loan forgiveness, deferment, or a favorable repayment plan. You have a better chance getting a break on student loan repayment with a federal loan rather than a private loan. You may be eligible for a loan forgiveness program if you work in certain professions. The Public Service Loan Forgiveness program is open to borrowers working for a government agency, and the Teacher Loan Forgiveness program is open to educators. Borrowers should also see if they qualify for an income-based repayment plan, which can reduce the monthly payment account for your federal loan. With income-based repayment (similar to income-contingent repayment), the loan servicer offers relief if your payments account for a significant portion of your income (unfortunately, a private student loan is unlikely to offer income-based repayment). Regardless of whether you qualify for loan forgiveness or deferment, the next thing you want to focus on is paying quickly paying off the loan. The sooner you pay off your premium, the less interest you will pay. In paying off your loans, you repay the interest first. This is typically the minimum monthly payment, which is tax-deductible for federal student loans. When your repayment is more than the minimum, it chips away at the premium. Over time, monthly interest adds up. So as you reduce the premium, you are usually charged less interest. For example, with the average student loan debt repayment hovering around $37,000 over 10 years, the typical initial loan would cost $425 per month. The total repayment with interest would be $51,095 -that's an extra $14,095 just in interest! By paying the loan off in five years, you'd be paying $729 per month, and the total paid with interest would be $43,749. You save $7,300 by paying off the loan five years early. Sure, you can do the math, but how can you actually pay more than the interest when you're a recent grad with an entry-level salary? 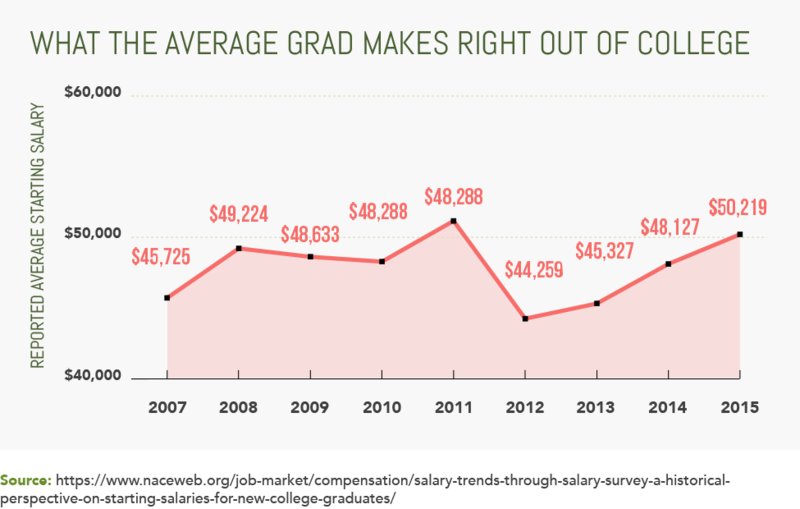 On average, college graduates have a full-time job with a starting salary of $49,785. That's relatively high, but it still doesn't leave much pocket change after taxes, particularly if you live in an expensive city. For many borrowers, especially those on the lower end of the pay scale, the only way to address loans quickly is to earn more money. Part-time jobs or freelance gigs can make a big difference. Say you earn an extra $500 a month to put toward your premium. If you'd been paying $425 per month, (the average amount for a 10-year repayment), you would bring your payments up to $925 per month. Your loans would be paid off in a little over 3.5 years. How can you find side jobs? The so-called "gig economy" makes it easier. Online platforms like Airbnb, TaskRabbit, Lyft, and Barkly connect you to clients and let you choose when you work. A few years ago, Kelsey Kronmiller was making $30,000 a year as a graphic and web designer on Cape Cod. She had $118,000 in student loans. Writing in Mel Magazine, she said she realized that "all the things I eventually wanted in life—a wedding, a house, a family—would never happen because of all the debt I was carrying." So in 2014 Kronmiller started taking on side gigs. She charged $65 for overnight pet-sitting, which at 12 nights a month amounted to at least $10,000 a year. She sold homemade Christmas ornaments on Etsy and made $12,000 in three months. Finding work on Craigslist and Facebook groups, Kronmiller picked up freelance web design projects that brought in another $3,000 to $5,000 a year. "All this time, I was putting all my extra money toward my debt," she writes. "Prior to the life change, I had only been making minimum payments, just paying interest and putting nothing toward the principal." After college, there are lots of things you want or think you need to buy. Maybe it's kitchen appliances for your new apartment, nice jeans, or regular after-work cocktails. Everywhere you go, there's a temptation to spend. But if you can resist making discretionary purchases now, you'll have more money for them later. To pay off your student loans quickly, you need to get serious about budgeting. Creating a budget is a game-changer for anyone serious about loan repayment. Jessica Elberfeld took out $68,000 to attend Belmont University. A high-interest rate meant she eventually owed $113,000. Though she took home less than $4,000 a month in a music-industry job in Nashville, Tennessee, Elberfeld managed to pay off her loans in seven years. Elberfeld, who blogs at Oh These Student Loans, shared her budget with Business Insider. To create a budget, Elberfeld input her bank statements into an Excel spreadsheet. She scoured transactions from the previous six months to see how much, on average, she spent in each category. Every night, she input her receipts. She allocated every penny of the $3,523 she earned each month from two jobs: $150 for groceries, $83 for her cell phone, $40 for bars or alcohol, $10 for event tickets, and so on. A whopping $2,230 went towards her loans. A major way that Elberfeld minimized her monthly outlay was living with roommates, paying $450 in rent. "I'm pushing 30, but I don't believe in throwing away $1,100 or $1,200 a month on a one-bed in Nashville by myself," she said. "It's easy to live with my two roommates — I've lived with one for six years. I didn't realize other people thought this is hard. They don't understand there's a big difference between $1,200 and $450." Not only did her budget help pay off her loans, but it made her more financially disciplined. Having made her last repayment at the end of 2016, Elberfeld has now built an emergency fund and is contributing more to her 401(K). If you set up automatic payments for your student loans, some loan providers will reduce the interest rate by 0.25%. That may not seem like much, but it adds up to a pretty penny over many years. Plus, you don't have to worry about remembering to pay every month or missing deadlines. All you have to do is give your bank or credit card info to the lender so it can withdraw the student loan repayment each month. It's easy—as long as you have sufficient funds in your account to pay your loan servicer. Setting up automatic payments not only gives you a valuable interest-rate deduction, but it keeps you on track with your repayment goals. Follow Huff's advice to maximize the benefit. A tax refund is your secret weapon to pay off student loans faster. 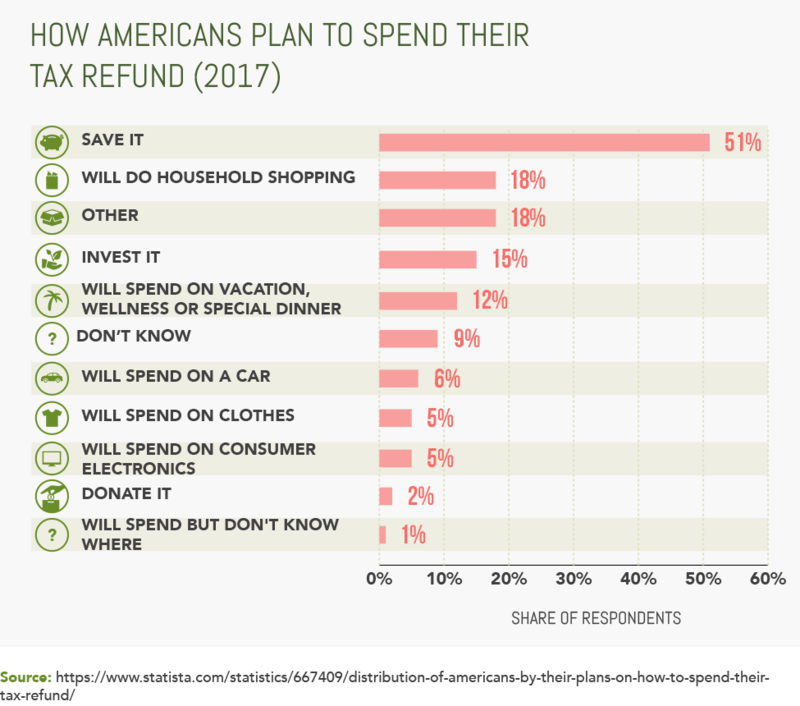 Many people view their refund as a license to treat themselves. But if you use it to make a larger or extra payment on your student loans, you'll save way more money in the long run, cutting your payment term by years. Still, it's wise to be strategic about how you use this windfall, writes Michelle Argento on Student Loan Hero. First, make sure you have an emergency fund of at least $1,000 to give yourself peace of mind in case of an accident or job loss. Next, decide whether you want to put the windfall toward the loan with the highest interest rate or the loan with the smallest balance. Then make sure your lender is on the same page. "If you've ever tried to make a larger student loan payment than your usual monthly amount, you might have noticed those extra funds didn't make much of a dent. That's because lenders will distribute your payment towards any outstanding fees first, then interest, and then finally, the principal. Plus, in most cases, any extra money over your required monthly payment will be divided up evenly among all your loans. For example, imagine you have two loans with the same lender – one for $2,000 at 7.5% and one for $5,000 at 4%. You plan to pay down the $2,000 loan in full with a single payment because the interest is so much higher. But your servicer doesn't know this, so the payment is automatically distributed evenly among your loans – $1,000 to each. You will still end up with two loans to pay off, including the one with higher interest. However, you can avoid this and make sure your payment is applied the way you want by contacting your servicer. Let them know how you would like your payment distributed, including whether this is a one-time request or a change to all future payments." If you use your tax refund wisely, you'll pay less interest in the long run. It may just be one cash influx, but it can have a powerful effect on future balances. You can pay off loans quicker when you have more money. Besides working extra jobs, how can you do that? Ask for a higher starting salary or a raise. A straightforward option is to get a better-paying job. You may need to shake off your youthful idealism and be a little mercenary, at least for now. Writing on Medium, Rachel Beisel says that one way she paid off $70,000 in nine months was by changing jobs more often. "Last year, I changed jobs 3 times with the intention of getting a raise. I loved my place of business… but also was presented with an opportunity to make more money. I could not turn that down because getting debt free became my priority." She decided that "I needed to get out of non-profit and the outdoor industry. Those were great careers while building my brand and experience but not lucrative in the long run. I had to find a booming industry to continue the trajectory to make more money where I also didn't have to sell my soul. I could always go back once debt free if I felt the calling." If you want to stay in your current job, you may need to ask for a raise. Don't just go into your boss' office and ask politely. Present your case with numbers to support it. You need to make a compelling argument for why you deserve to earn more. So before you even raise the topic, you have to be good, writes Jeff Haden in Inc. Magazine. Be the best performer in your position, the person who comes to the office early, and who takes initiatives and volunteers for side projects. "When you have already done the work, you won't need to say much at all, because your boss will already know how valuable you are," says Haden. Collect two kinds of evidence before making your request, writes Carolyn O'Hara in the Harvard Business Review. Gather facts about how you have tangibly helped the company, like introducing money-saving efficiencies or winning repeat clients. And get information on salaries in your company and the industry, so you can present a reasonable target figure. Think about how your case aligns with your boss' goals and priorities. Practice your pitch ahead of time. Don't complain or threaten to leave. When you make the ask, choose the right moment and be confident. If you're a strong employee, your boss will want to retain your talent and keep you happy. That doesn't guarantee a yes, but it will at least open up the conversation for future negotiations. These are all the steps you can take to pay off your student loans much faster than the average graduate. Figure out which tip makes the most sense for you right now, and dive in! Once you have repaid that debt, you can start putting the money where it really matters: toward having children, buying a house, and in a retirement fund. If you want to learn more about how you can best pay off your student loans or personal loans, check out the following resources on how to make it happen! Have you or someone you know found great ways to pay off student loans? Let new grads know in the comments below!